Humans evaluate traits including hair when choosing a mate. It is part of the process of positive natural selection. Beauty and attractiveness are left to the judgment of each individual person. But there is no doubt that a full head of hair will make a person naturally attractive. With that natural attraction will come increased self-esteem and confidence; necessary ingredients for success in your career and in your personal life. Some women and men suffer from a condition called alopecia which can cause loss of all body hair, that may never regrow. Loss of hair or imperfect hair can result in feelings of unattractiveness and diminished happiness in one’s life. Scalp Micropigmentation for men, and Hair Follicle Simulation, also known as Hair Follicle Replication, for women, are techniques designed to restore a natural hair look for anyone who wants more fullness of the hair or who suffers from aging or sickness. It is also the best solution for hair missing in places or areas that are not quite perfect. It uses an advanced hair follicle technique that replicates the 3D effects of natural hair follicles. Our certified professional technicians will use the latest technology devices and best quality hand pieces to implant highly concentrated non-allergenic, vegan friendly pigments, made in Germany, on the areas where camouflage is desired. Whether you want a soft natural looking shade or more bold coloring, we can define the shade to fit your preference. Scalp Micropigmentation is a Permanent Cosmetic procedure to camouflage and enhance imperfect areas by applying the advanced hair follicle technique. We perform Scalp Micropigmentation for men and woman, using advanced technology devices and the best quality hand pieces to implant the highly concentrated non-allergenic, vegan friendly pigments to mimic the appearance of hair follicles. This technique replicates the 3D effects of natural hair follicles which logically cover the appearance of Bald Spots or Total Baldness for people who want more fullness of the hair or who suffer from aging or sickness and want a natural scalp look. Our meticulous technique, advanced technology machine, quality products and extensive artistic background are harnessed to bring you the best results. Our technicians customize each hair follicle thickness and pigmentation placement as needed to suit your specifications. 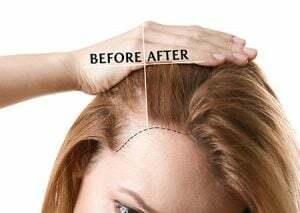 Advanced Hair Follicle, also known as Hair Follicle Simulation is a Permanent Cosmetic procedure is used to enhance or define hair on imperfect areas by applying cosmetic ink to mimic the appearance of hair follicles. We use advanced technology devices and the best quality hand pieces to implant the concentrated non-allergenic, vegan friendly pigments to mimic the appearance of hair follicles. This technique replicates the 3D effects of natural hair follicles which logically covers the appearance of thinning hair, receding hair lines, hair loss, bald spots, scars, and burns. Our professional technicians use different techniques of Shading, Fill-ins, Manicured hairline, or Natural hairline to give you a natural or manicured look depending on your preference.